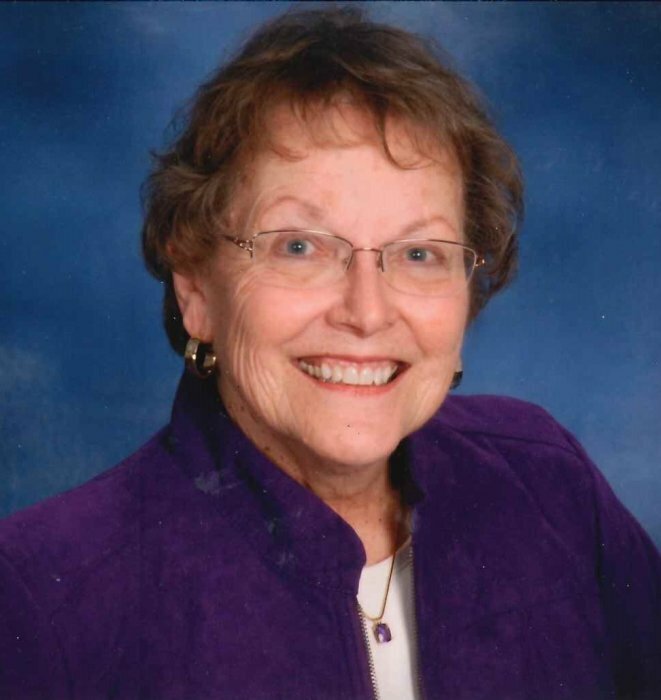 Diane Ruth Wiehle, age 81, of Longville, passed away on Wednesday, February 6, 2019 at her home with her loving family by her side. She was born on January 26, 1938 in Minneapolis, MN, the daughter of Raymond and Ruth (Dykeman) Jacobsen. Diane grew up and graduated from Richfield High School in 1956. Following school, she attended nursing school at Hamlin University in St. Paul where she received her Bachelor of Science degree in Nursing. Diane married Doug Malchow in December of 1959 and together they had three children; Debbie, Steve and Michael. She worked for Methodist Hospital in St. Louis Park before becoming a full-time mom to not only her children, but also to eleven foster children and six foreign exchange students. Diane enjoyed being a cook at Aldersgate United Methodist Church in St. Louis Park where she constructed her own cook books. She would find herself moving to northern Minnesota where she would run Wildwood which was the family resort. Diane reunited with her High School sweetheart Ron Wiehle and the two were united in marriage on April 18, 1998 in Edina, MN. They made their home in northern Minnesota and finally settled in Longville. Diane became a member at Salem Lutheran Church in Longville where she became active in the Quilting Club and Bible studies. She was very crafty, dying her own fabric for quilting, Swedish flat plain carving, ceramics, and painting were some of her talents. Diane had a special love for her family and enjoyed spending time with them and her animals. She loved the outdoors, going to the North Shore and seeing the rock formations was one of her favorite pastimes. Diane was a person who always made you feel special and one that made her home your home. She will be sadly missed by all who knew her. The family that Diane joins again are her parents, Ray and Ruth; and her step mother, Ella Jacobsen. Those she leaves behind to cherish her memory are the love of her life, Ron of Longville; daughter, Debbie Abrams of Sartell, MN; sons, Steve (Val) Malchow of Winnebago, MN and Michael Malchow of Minneapolis; step children, Vicky (Dan) Kaschner of Eagan, MN, Schelly Frane of Minneapolis, and Julie (Bruce) MacGregor of Palisade, MN; brother, Wayne (Marilyn) Jacobsen of Columbus, NE; seventeen grandchildren, fifteen great grandchildren and many extended family members. A celebration of Diane’s life will be held at 1:00 p.m., Saturday, February 16, 2019 at Salem Lutheran Church in Longville. Visitation will be held two hours prior to the service from 11:00 to 1:00 p.m. also held at the church. Pastor Trish Jorgenson will officiate. Inurnment will be held at the Salem Lutheran Cemetery in the spring. In lieu of flowers, memorial preferred to the Longville Food Shelf, 5070 MN-84, Longville, MN 56655.